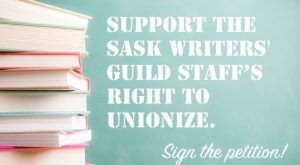 In early June, staff at the Saskatchewan Writers’ Guild (SWG) initiated a union drive hoping to secure more respect in the workplace and a greater voice in their conditions of work. 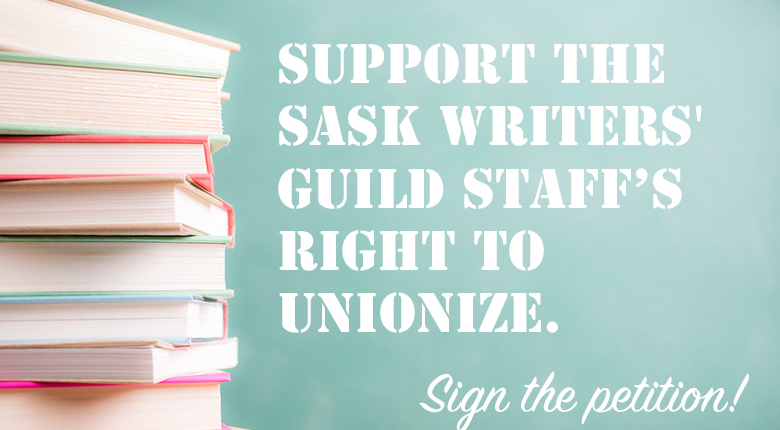 Unfortunately, the Board of Directors of the Writers’ Guild chose to respond to the union application, filed on their behalf of CUPE, by hiring an expensive management lawyer well-known in Saskatchewan for representing Wal-Mart against workers’ attempts to unionize. Take Action today and support SWG staff. Call on the SWG Board of Directors to respect their staff’s constitutional right to form a union, to withdraw their legal challenge before the Labour Relations Board, to withdraw their demand that the administrative assistant be out of scope, and to allow the ballots of SWG staff to be counted without further delay.